Born in Bavaria, brothers Amandus, Gallus, and Adam moved to Cincinnati, Ohio in 1840 and began to serve as apprentices to their father Aloysius, learning the family business of carriage building. In 1853 the brothers moved to Davenport, Iowa where they established the first carriage factory in the state, under the name of Woeber Brothers Carriage Co. In 1867, bank rolled by his brother Amandus, Adam Woeber at the age of 30 moved to the city of Denver in the Territory of Colorado and started a branch company. He named it A. Woeber & Company, which was later changed to Woeber Brothers Carriage Works. For many years the shop that was located on 11th between Larimer and Walnut streets. The Woeber Brothers built and repaired everything from clunky ore wagons that hauled rock, gold, and silver, to the finest carriages prized by Denver’s elite. Woeber had an advantage over the competition from mid-western states because their carriages were built in Colorado with wood that was seasoned here in arid Colorado weather, so it didn’t split and was easier to maintain. In 1871, the carriage works began building horse drawn trolleys for the Denver Horse Railroad Company where the initial route was only about two miles long, running down Larimer from Seventh down to Sixteenth. By 1884 the service expanded to forty five cars, two hundred horses, and one hundred employees servicing downtown Denver. In 1883, the Woeber Brothers were contracted to build one of the most famous horse drawn trolleys in Colorado for the Southside Investment Company, the Cherrelyn Horse Car. This trolley consisted of a single horse that was hitched to a single car. 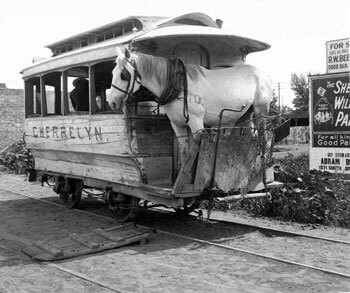 The horse then pulled the trolley from Hampden up the hill to Quincy and the small shopping community of Cherrelyn. At the top of the hill, the horse was unhitched and backed on to a rear platform of the trolley. The driver would then give the trolley a push and the horse, trolley, and passengers would coast back down the hill to Hampden. This line successfully ran until 1908. Around 1950 an original car was donated to the Englewood Rotary Club, refurbished, and is now on display in Englewood Civic Center’s lobby. Between 1898 and 1920, the company expanded to a 120 man work shop that built electric street cars and cable cars for street railways throughout Colorado and Utah. 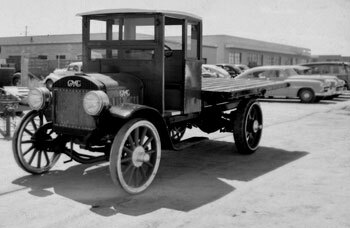 With the invention of the horseless carriage, the company diversified with the changing technologies and began to build bodies that attached to work trucks. In 1918, a man by the name of Carl W. Selle began work for the Woeber Brothers at the age 26. He had strong wood working skills and demonstrated a grasp for business management and he was soon promoted to shop foreman. 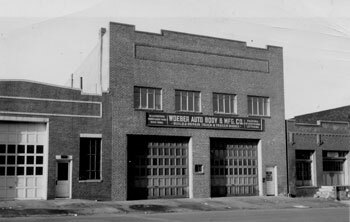 In 1934, he purchased fifty percent of the company and in 1943, when Rudolph Woeber “Adams son” died, Carl purchased the remaining stock and became the President of Woeber Auto Body and Manufacturing Company. 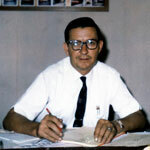 In 1953, he built a new building and relocated the company to 4950 Jackson Street. During this time Woeber began to distribute specialty equipment like trash collection bodies from Garwood Industries and building customized truck bodies for their customers. Moving to Denver from the family homestead farm in eastern Colorado, George Kois met Carl W. Selle Sr. through an introduction by his sister, Helen, who was married to Carl’s step son Dallas Ingram. Shortly after, George became employed at Woeber. His first job was to run the forge and trip hammer in order to repair teeth on digger derricks used by the Public Service Company and Mountain Bell to set utility poles. Much like Mr. Selle, George showed leadership skills and advanced quickly through the company, achieving the position of Sales Manager and Vice President of the company. He hired his brother, Eugene, as an outside salesman. 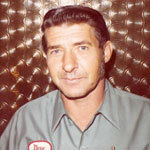 Gene had a mechanical aptitude and was experienced as a machinist and trailer builder. In 1967, the Federal Air Quality Act was passed by congress. With this new law it became illegal to burn trash. Gene had been selling Garwood trash collection bodies to trash haulers around Colorado and knew that the new law would necessitate the use of trash storage containers. Woeber Auto Body built a couple containers, but the current owners Carl Sr.’s sons, Carl Jr. and Robert, had no interest in building the trash cans and thought it would be a short run product with very little demand. 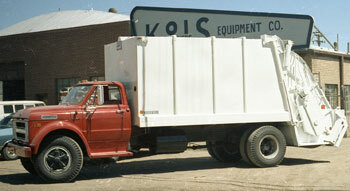 George and Gene felt differently, so they convinced the Selles to allow them to build solid waste containers as a part time venture, establishing Kois Brothers Equipment Company in 1968. With input from their customers, the Kois Brothers designed and built various sizes of rear load containers and rented a small facility at 4975 A W. 80th Ave in Westminster, Colorado. They had a Saturday open house and by the end of the day had orders for over one hundred containers. This success brought long working hours for the brothers, who worked full time at Woeber Auto Body and built trash containers in the Westminster shop at night and on weekends. Within six months, the brothers resigned from Woeber and were building and repairing trash containers of all sizes full time in a building near the Denver Stock Yards located at 4755 Humboldt Street. The company worked from this location for nearly two years. Because of the request of longtime customers to the manufacturer, they were granted the Garwood distributorship for Colorado. In 1971, at the appeal of Colorado National Bank and Garwood Industries the Kois Brothers purchased the assets of the now bankrupt Woeber Auto Body in a sheriff’s auction. Shortly thereafter they moved into the old Woeber Auto Body building at 4950 Jackson Street. In a very short time the brothers were not only building trash containers, but were right back doing what they had done while working for Woeber Auto Body- building and selling truck bodies and equipment. With the opportunity to expand the company and with much help from Errol Goulet, the Kois Brothers opened two branch locations in the State of Montana, one in Great Falls in 1990 and Billings in 1994. The company’s core business has always been full line truck equipment with particular expertise in Solid Waste Collection Equipment and Snow Removal Equipment. As with the original Woeber Brothers Carriage Works, Kois Brothers Equipment Company is recognized for the highest quality products and equipment installations. To achieve success and sustainability we recognize that our greatest asset is our employees. We are very proud to have quality craftsmen and technicians in all locations. Much like the founders of both Woeber Brothers and the Kois Brothers, our employees learn this specialized trade through daily apprenticeship by building the industry’s highest quality work carriages’ that are today’s Work Trucks! The current family owners have been in this industry since they were young, cleaning company facilities, identifying & sorting parts, learning trade skills, welding waste containers, designing and building custom bodies, and implementing cost saving waste collection systems. 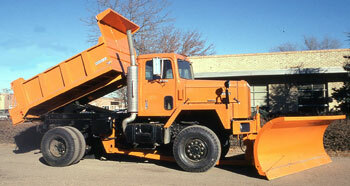 Our friendly staff of highly trained professionals will keep your equipment operating and profitable. In addition to custom fabrication we offer a full line of replacement parts - pto’s, hydraulic - pumps, cylinders, controls, reservoirs, valves, cable, pneumatic or electric controls, hardware, and accessories to meet all of your equipment needs.